A man I’d never met before gripped my hand with desperate force, as though his physical clamp on me might preserve him from oblivion. The doctor who actually knew him, one even more junior than me, had poked her panicked head out of his room, grabbing me for assistance. A split second glance told me here was a man in extremis. Ashen, sweaty and stricken with fear. My next glance – at his monitor – confirmed my expectations. Blood pressure plummeting, oxygen levels life-threateningly low. When someone, in our jargon, is ‘peri-arrest’ – on the brink of their heart giving out and stopping beating - snap judgments aren’t lazy, they’re essential. This man was for ‘full resuscitation’: if his heart stopped, my next action would be to start chest compressions. But was this right? Had he, in fact, reached the natural end of his life and would compressions, plus electric shocks to try and restart his heart, subject him to undignified and inappropriate treatment, denying him his right to a peaceful death? My assessment was as quick as I dared: not for resuscitation, but for full palliation. As his nurse ran for the drugs to dull his awareness he was dying, he exhaled his last breath in my arms. These are the scenarios doctors face in hospitals across the UK every hour of every day of the year so for Professor Sam Ahmedzai, the chair of the committee that developed new National Institute for Health and Care Excellence (NICE) guidance on end-of-life care, to claim yesterday that doctors treat death as a ‘tick box exercise’ was, frankly, insulting. I fervently embrace every initiative aimed at giving my patients the best possible death. Like so many of my nursing and doctor colleagues, I strive daily to ensure the end of life of my terminal patients is the most meaningful, dignified and humane life possible. And any guidance that promotes a sensitive and holistic approach to death and dying can only be positive. But please, publish without damning doctors. Prof Ahmedzai states there is no excuse for junior doctors making snap decisions about end-of-life care, as if we somehow take a cavalier approach to the matter of mortality. But this could not be further from the truth. Take yourself back to your twentysomething self, when a typical junior doctor starts out life on the wards. Had you watched someone expire in spite of your best efforts, had someone bled out before your eyes? Death, to the uninitiated, is as traumatic as it is stark. My five-year medical degree contained one paltry week of palliative care: hardly sufficient to steel anyone against the shock of the actual deaths we witness from day one on the wards. Please rest assured, we feel the weight of every patient’s death, not one is taken lightly. The greatest challenge, in ensuring patients rest in peace before they die, lies not in correcting an insouciant attitude to dying, but in providing the resources to fund good quality palliative care - including meaningful education for every healthcare professional involved in death and dying. 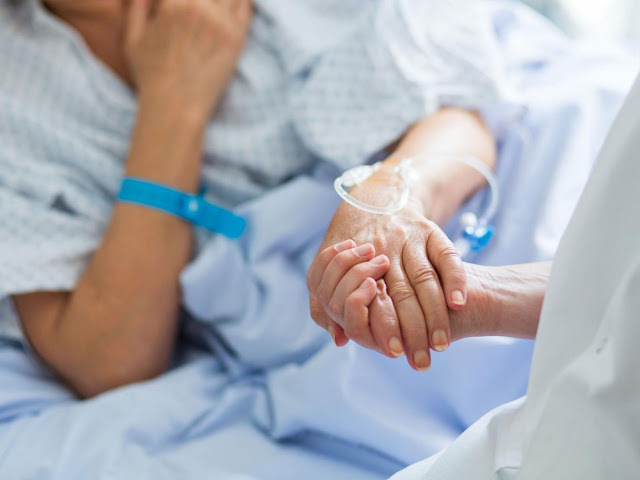 Right now, there are an estimated 100,000 people with advanced illness in the UK who would benefit from, but are not currently receiving, proper palliative care. If the government really cared about ensuring patients died good deaths in UK hospitals – kind and compassionate deaths, the best possible deaths we in the NHS are capable of providing – then they would fund a radical increase in provision of palliative care. And we, the public, would whole-heartedly support this. It is hard cash, not hard-heartedness, that denies too many patients, and their families, the deaths they deserve.